Cultural life in Iceland is outstanding, it´s hard to believe that this small nation has all this variety. We pride ourselves of having an excellent cooperation with our partners. This allows us to offer tours which will fulfil your or your group’s wildest dreams. The Icelandic Opera´s first performance was Leoncavallo´s I Pagliacci in Haskolabio in March 1979. 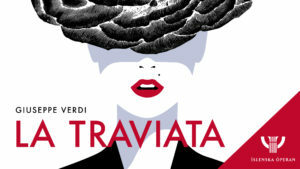 Since the Icelandic Opera moved into Harpa they, among others, have given the following performances: La Boheme by Puccini, Il trovatore by Verdi, Carmen by Bizet, Don Carlo by Verdi, Don Giovanni by Mozart, Évgení Onegin by Tchaikovsky and Tosca by Puccini. The next performance is Daniels Bjarnason´s Brothers in June 2018. 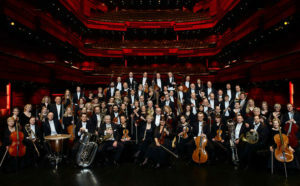 The Icelandic Symphony Orchestra was founded in 1950. It has distinguished itself as one of the leading Nordic orchestras through its many performances and recordings. The orchestra gives around 60 concerts each season, including subscription concerts with renowned conductors and soloists, family concerts, school concerts, recordings, and local as well as international tours. It has performed to great acclaim at international festivals and in concert halls, including the BBC Proms in 2014 under the direction of Ilan Volkov, New York’s Carnegie Hall and Vienna’s Musikverein. Reykjavík Arts Festival is a biennial multidisciplinary festival with a special focus on new commissions and the creative intersection of the arts. It presents, to the widest possible audience, exhibitions and performances of contemporary and classical works in major cultural venues and unconventional spaces throughout the city. 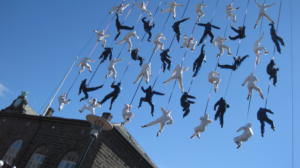 Since its inception in 1970, Reykjavík Arts Festival has invited hundreds of artists from all parts of the globe to perform or exhibit at the festival. Iceland Dance Company (IDC) is the national dance company of Iceland based in Reykjavík City Theatre. Established in 1973, IDC is an independent public institution responsible for developing, creating and nurturing contemporary dance and choreography in Iceland. IDC is a progressive contemporary dance company constantly building a repertoire of choreography by many of the world’s leading choreographers, e.g. Ohad Naharin, Johan Inger, Jiri Kylian, Ed Wubbe and Sidi Larbi Cherkaoui. 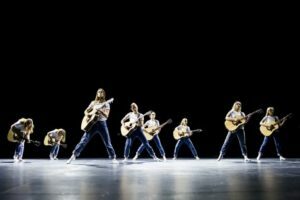 Simultaneously, the company has led the development of Icelandic choreography and nurtured home-grown talents who have received international acclaim. The company places an emphasis on developing partnerships with other cultural institutions and prides itself on a tradition of working with emerging talents in all artistic fields, e.g. by frequently commissioning new music. WANT TO DISCOVER THE ART OF ICELAND? Icelandic art is currently flourishing. Popular history claims that the first solo exhibition of Icelandic painters was around 1900 by Þorarinn B Þorlaksson. By the end of 1918, the Icelandic Art Association agreed to hold an overview exhibition of Icelandic art. This decision marks a definite turning point in Icelandic artistic life. There, for the first time, an attempt was made to give a comprehensive impression of the Icelandic art style that had grown in the early 20th century. 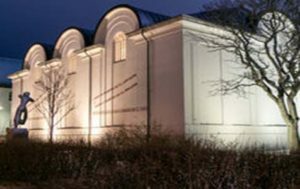 In Iceland, you can find various art galleries showcasing an extremely wide selection of art. Moreover, art auctions are regularly held, catering for a range of tastes and budgets. When it comes to graffiti artwork, Iceland is among the top 10 destinations in the world. 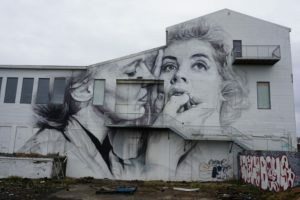 Despite being the world’s northernmost capital, Reykjavík is home to a thriving and prevalent street art scene. By the early 1990s, geographically and culturally isolated Icelandic teens started working with graffiti. They started developing their own style through their brief acquaintance with the Internet, a couple of photo books, album covers and music videos, which became their bibles. Street art is enjoyed in Reykjavík and relished by the community, at least when it is properly done and in the appropriate locations! Knitting has a long tradition in Iceland. The earliest surviving documents about knitting in Iceland are from the second half of the 16th century. In those days, everyone was knitting – women, men and children alike – as debts were paid in this way. 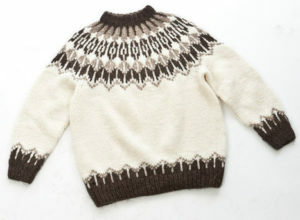 For personal use, people knitted almost all their clothes, i.e. socks, gloves, scarves, sweaters, pants, shoes, lids, caps and even braces. Some people also knitted their underwear, stockings, tents and pillowcases. At first, knitwear was made from both lamb’s wool and horsehair, but, in recent years, only the lamb’s wool has been used. The cuisine of Iceland has a long history. The most important ingredients in Icelandic cuisine are lamb and fish. 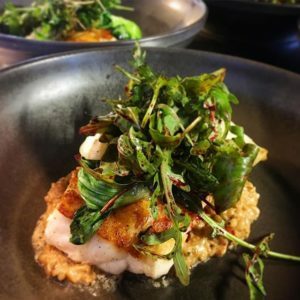 Today, all kinds of delicious dishes are made from Icelandic fresh ingredients, including a range of natural seasonings such as crowberry, blueberry, rhubarb, Icelandic moss, wild mushrooms, wild thyme, lovage angelica and dried seaweed. If you would like to taste something truly Icelandic try skyr, hangikjöt (smoked lamb), rúgbrauð (dense dark and sweet rye bread), kleinur and brennivín (an Icelandic akvavit). Þorrablót is a buffet served at the midwinter festival which includes a selection of traditionally cured meat and fish. Iceland has a varied selection of hotels and guesthouses. Here, you can find both big and small hotels, boutique hotels, international chains and friendly local Icelandic country hotels. Allow us to find the accommodation which best suits your needs.